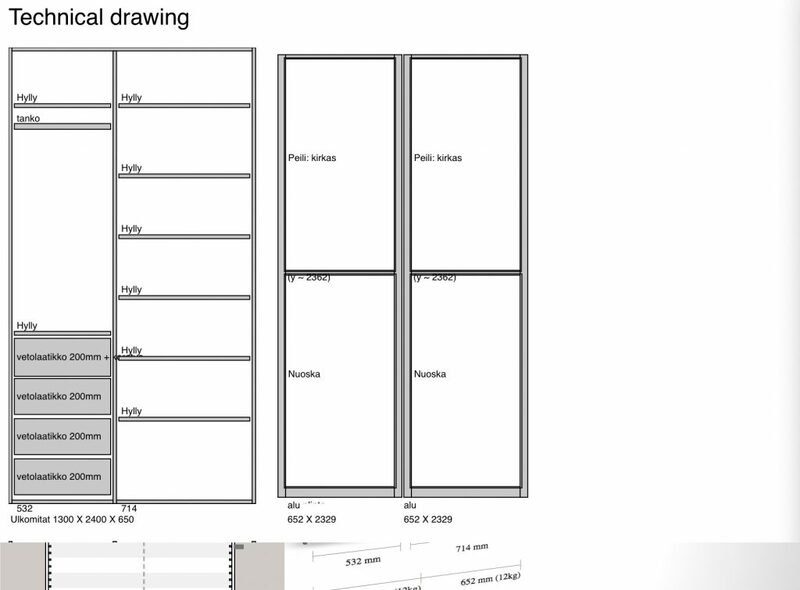 We have collected all the most essential features to this tool to make designin experience fast and smooth. 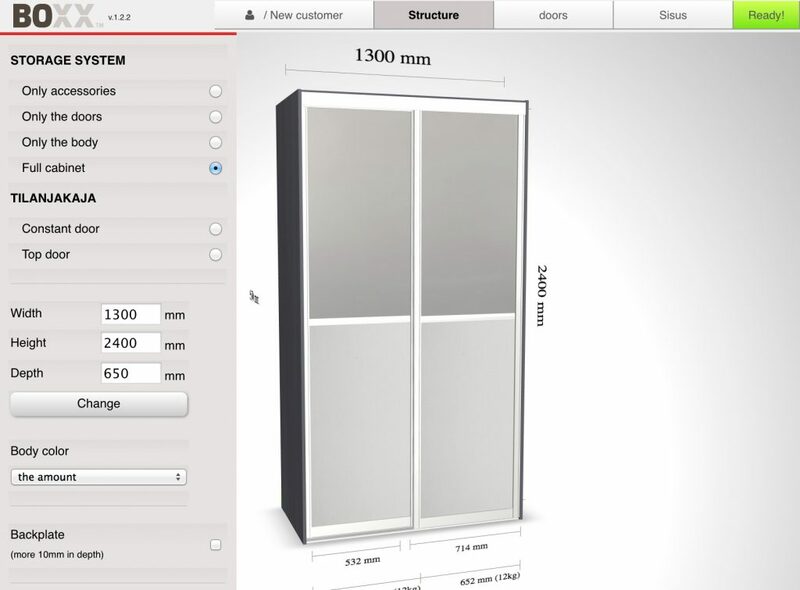 We always tailor the tool to match the customer’s products and features. 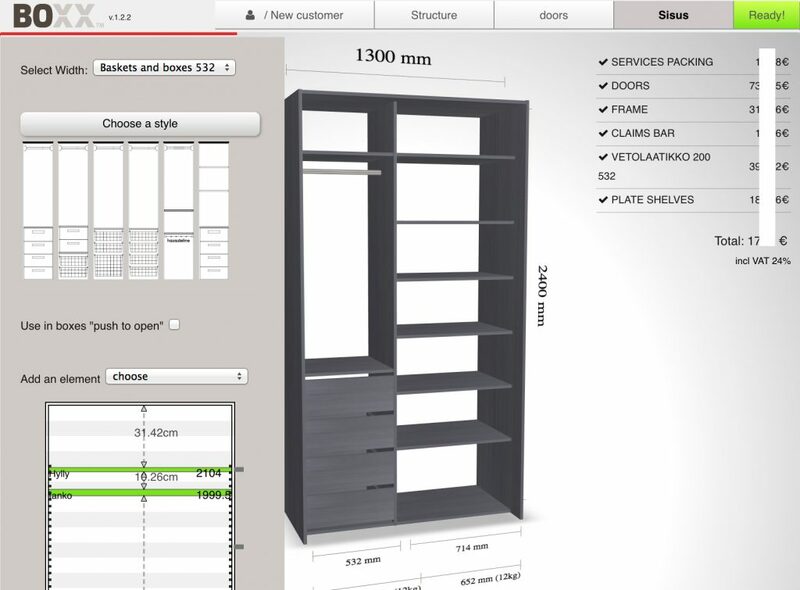 Charmia uses Closet design tool to design Sliding door closets on resales locations. 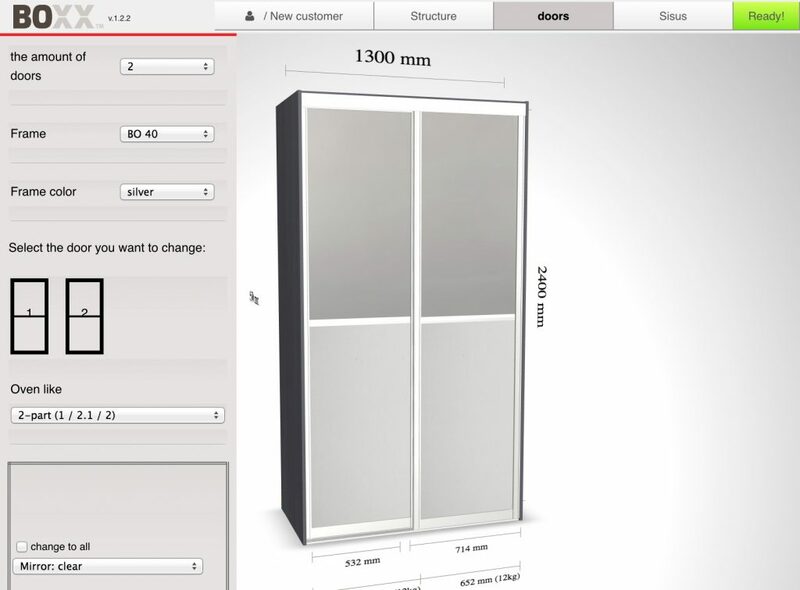 Inaria lets customers to design their own sliding door closets online with a simplified Closet design tool. 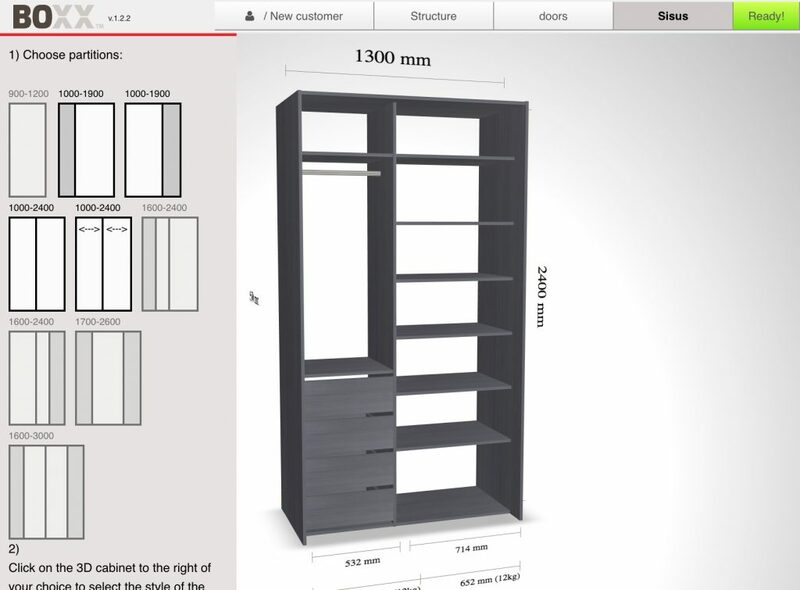 Finnmirror launched Closet design tool for resellers abroad and for construction companies.